If you are due a medication review, you will not be able to request your repeat medications online. Please book an appointment with a GP to arrange your medications. 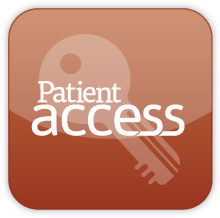 This has arrived and a beta version is ready for patients to try. As voted for by the general public! This award offers patients and members of the local community the chance to give thanks and show their appreciation for their health care team. This one is for the entire practice team! Stage 1 – submit your GP surgery to be in the running for the People’s Choice Award by clicking on the above web address. Nominations close on 31st May. PLEASE NOTE, THE PUBLIC VOTE DOES NOT OPEN UNTIL 1ST JULY. Soon you may get an NHS survey in the post. Please respond so that we can better serve you. General Data Protection Regulation - May 25th 2018. The law has changed from the above date. If we need to contact you about your medical care, nothing will change in regards to the new law. However, if we need to contact you regarding anything else, we need your explicit consent to do this. For example, if we need to contact you regarding an appointment, test result, call back from our triage system, etc., we are allowed to continue to do this. Anything that is classed as 'non direct medical care', we need your consent from May 25th. If you need medical help or advice when we are closed, please dial 111. Only if you have a life threatening event dial 999. Furnace Green Surgery is a four doctor partnership - two female and two male. We also have three salaried doctors as the partners are very busy supporting other parts of the NHS, to cover demand. 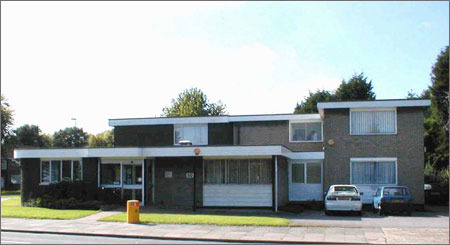 The practice operates from its surgery premises in The Glade, Furnace Green and cares for around 7,200 patients. On the rare occasion, locum doctors also help but we have a policy of using the same locum whenever possible to give continuity of care. Furnace Green Surgery has been approved for GP and medical student training and each year one or more fully qualified doctors with experience in hospital medicine may spend time with the practice as part of their preparation to become general practitioners. They share all aspects of patient care and the partners welcome their contribution to the team. Occasionally, medical students may also spend time with the practice. The practice is visited at times by other doctors, representing KSS GP Deanery, who oversee standards of training within the practice and inspect patient records during the visit. Please notify reception if you wish to exclude your medical records from this process. Patient Self Help Information or NHS Choices Advice - Before you phone the surgery for a GP appointment, please do check out if you could self manage yourself first. Should you have the need to be referred by your GP to the hospital, please check out this patient leaflet as it describes what you can expect to happen when your GP refers you to see a specialist or consultant at a hospital or a community health centre. Click below for repeat prescriptions, making or cancelling an appointment and some basic medical record information (medication, immunisations and allergies). Please do call 111 instead of going to A&E if you are experiencing a non life threatening event. Sussex Oakleaf - Need someone to talk to? Find It Out Centre - Information and advice for those aged 13 - 25 or aged 11 - 12 if accompanied by a parent. Can help with:Employment and Training, Careers, Education, Housing, Homelessness, Money, Justice and Equality, Health, Family and Relationships, C Card Distribution and much more. PLEASE NOTE, THIS SURGERY TAKES PART IN CLINICAL RESEARCH.